Leader of Iran’s Islamic Revolution Ayatollah Seyyed Ali Khamenei urged Iranian authorities to defuse the dust and flood crisis in Iran’s southern regions. Addressing a group of his seminary students on Monday, Ayatollah Khamenei referred to the recent natural crises, namely the dust pollution in the southwest and the flood in southern and southeastern Iran. 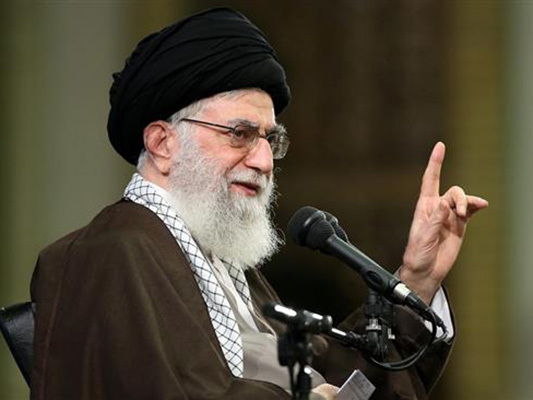 “These tragedies are really heartbreaking,” the Leader said, urging the Iranian authorities to cope with the problems and find definitive solutions for them. Ayatollah Khamenei then referred to the cut of power, water and communication lines in Khuzestan, southwestern Iran, as another severe difficulty. Ayatollah Khamenei also criticized the officials who shirk their responsibility towards the dust crisis instead of dealing with it. “We must touch the problems people face in their lives,” he stressed. “And we must think, work, and strive to sort these issues out, sympathizing with people,” the Leader added.